Effective sourcing underpins many successful businesses, with your organisation’s bottom line directly impacted by the contracts and costs agreed with your suppliers. SAP S/4HANA provides support for reactive and tactical sourcing, while SAP Ariba and Fieldglass help you move towards a more strategic approach - with centralised control allowing you to eliminate rogue spending, instead pre-empting the needs of the business, while building relationships with the right suppliers who can deliver at scale. SAP Ariba provides enhanced insight for your procurement department, putting detailed spend analysis at your fingertips to ensure you’re getting the best deal for your business. Effectively monitor supplier lifecycle performance by assessing lead times and late deliveries, and quickly build up a risk profile of your supply arrangements - all while streamlining the purchasing process itself through automation and workflows. With the rise of the gig economy, contractors and the flexible workforce, procurement isn’t just about supplies and materials anymore - now it’s also about people and services. More than ever, you need a clear handle on your contracted labour and how much it's costing you. From sourcing and onboarding contingency workers, to managing their payments and also negotiating outsourced contracts, SAP Fieldglass provides all the support you need for the end-to-end process. Whether through SAP S/4 HANA capabilities or SAP Ariba and Fieldglass, AgilityWorks can help you digitise and simplify your sourcing and procurement processes. 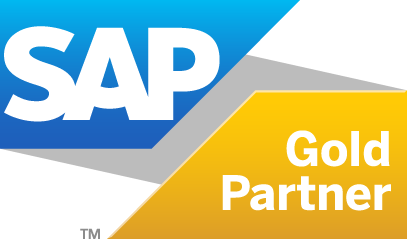 This all starts with a business discovery phase, where we help you understand how and where each technology fits with your business goals, and to navigate you through the complexity of the SAP landscape. We’ll help you plot your procurement process from start to finish, pinpointing the potential for more strategic sourcing - cutting through the confusion to help you build a solid business case. With the likes of Ariba delivering SaaS (software as a service) benefits as standard, straight out of the box, there’s less requirement for technical development but more effort needed for process re-engineering - in other words, developing your purchasing processes in line with the capabilities and requirements of your new, best-practice technology. We support you right the way through that change management process, imposing high standards of consistency across your organisation, helping optimise end-user adoption to ensure maximum return on your investment. Working in collaboration with your project stakeholders and software vendor SAP Ariba, AgilityWorks can play the roles of lead integrator and agent of change - bringing the whole solution together. This means we’ll ensure your procurement teams and wider organisation fully adopt the new solution and realise the benefits you’ve committed to in your business case. We’ll assess the optimum order in which to implement each module, designing a programme of implementation to help deliver instant value, which allows you to start seeing the benefits straight away. At AgilityWorks, we don’t just implement software, we initiate change - transforming business processes alongside the delivery of new technology. We help encourage standardisation, best practice and consistency across your business, enabling you to realise maximum value from your investment in SAP systems. Working on major digital transformation programmes for some of the world’s leading brands means we’ve gained significant experience in the development of sourcing & procurement programmes. We know how the landscape fits together, and how to leverage SAP Ariba, Fieldglass and S/4 HANA for the best possible results. The digital landscape never stands still, and procurement technology continues to evolve at pace. From the rapid move towards the gig economy and to the rise of chatbots to automated, sensor-based purchasing via the Internet of Things (IoT), we can help keep you ahead of the curve on the next-gen Cloud innovations set to re-invent procurement in years to come.